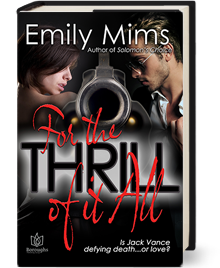 From the first time she lays eyes on him, forensic chemist Amanda Blakeman is drawn to fellow cop Jack Vance, a fearless SWAT team officer who thrills her with his cocky good looks and peerless bravery, and himself, by seeking out danger. Stock car racing, sky diving, rodeo riding—there’s nothing the 1980s have that Jack won’t do. And he’s just as impressive behind closed doors. 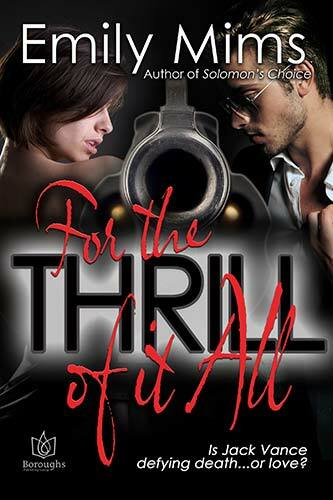 But as the pair joins forces against a serial killer hunting in the bars of San Antonio, Amanda realizes Jack’s sweet and crazy nature isn’t enough. She needs him to realize that life’s best thrills can be found not just in defying death alone, but in living and loving together.